The livestock brand is one of the iconic images of the West. To this day, brands are the most reliable method of identifying the owner of livestock and make it harder for rustlers to steal. 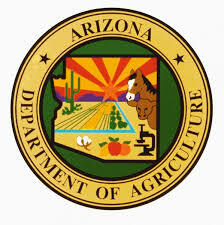 Here are resources from the Smithsonian Institute and Arizona Department of Agriculture to decode the somewhat mysterious language of the livestock brand. Includes links to the current Brand Book and frequently asked questions about livestock brands. First are the Numerical characters 2 through 9. Note: The number ZERO is sorted with the letter 'O'. The number ONE is sorted as the letter 'I'. Following the Numerical characters are the Alphabetical characters A through Z. 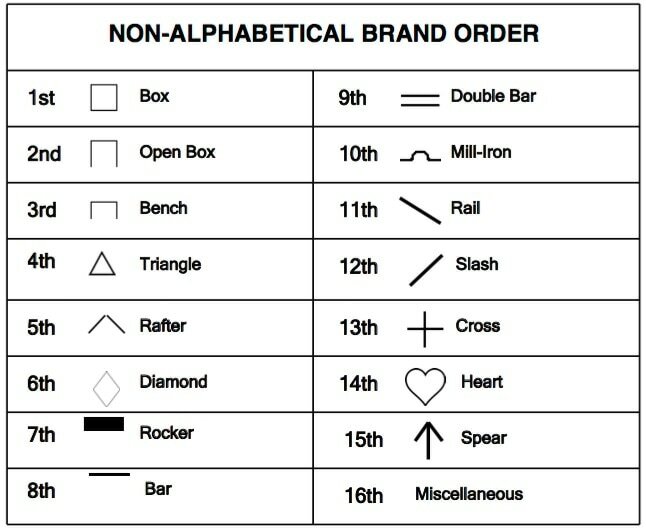 Finally following the Alphabetic characters are the Non-Alphabetical shapes sorted as indicated in the chart above.